Click the photo for more photos, information and agent contact details. If the agent has a website, their name/agency will be underlined and linked. Samplers are not updated in regard to price or status. If viewing this page at a later date, check the links as the home may be off market, sold or details have changed since originally posting. It is up to you to check the status and price changes if you are interested in any of these homes. Historical Home in the City of Benton Harbor. Stunning original woodwork staircase and stain glass windows. This home features some of the highest quality woodworking throughout the entire house. Three historical fireplaces. 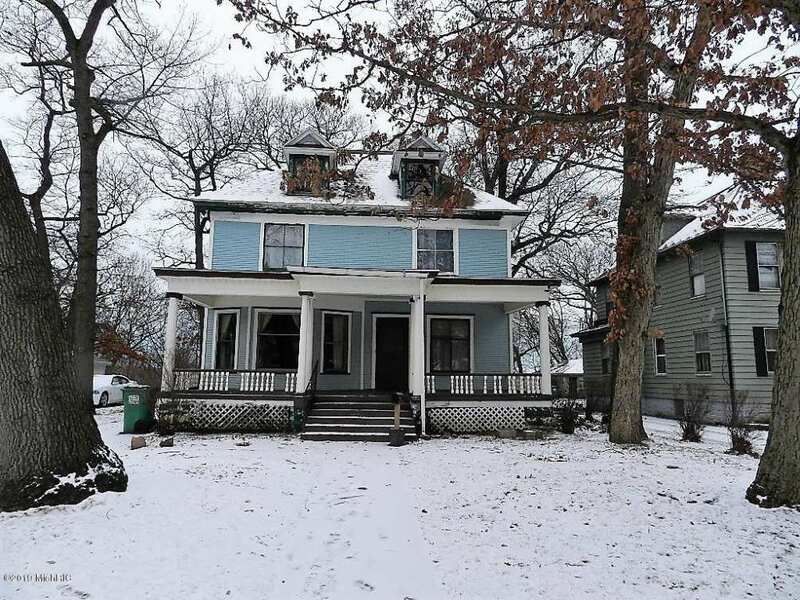 Beautiful original front door and hardwood floors throughout the house. Ceramic tiles in the kitchen and bathrooms. Large front porch; perfect for relaxing in Michigan's summer nights. New hot water boiler. Most of the house has been re-wired. Roof was replaced within the last 10 years. A home ready to create an expression of yourself. Located on a generous double lot. Large combo living room and dining room flow together, great for entertaining. Dining room offers beautiful built-ins. Ample closet space throughout the home. Tons of natural light makes the home sparkle. Refinished hardwood floors, updated bathrooms, crown molding and natural fireplace gives home added charm. Nestled in the Westfield section of Middletown stands the stately Joseph Wilcox Homestead...1775c. Drenched in antiquity, this historically significant and architecturally pristine home is the quintessential two and one half story center chimney and is a purist's dream. From the museum quality raised paneling, 5 fireplaces, fabulous wide board floors, buttery and original staircases, this home is a rare example of 18th century elegance. The ell features unmatched trompe l oeil artistry ... a feature to be treasured. Living room, formal dining room, "old" kitchen, the ell and master bedroom all feature fireplaces and emanate the grace of 18th century living. This is an ample home with 5 spacious bedrooms, large eat in kitchen and 2.1 baths. Located on 3.5 lush acres in the heart of the Westfield area of town, this home is bordered by conservation land. There is also the possibility of a one time split for a building lot (rear lot) should you desire. Quiet country setting yet literally 4 minutes to I-91. Two hours from both New York and Boston. Located in an area of high end homes!!! Average surrounding homes sell in excess of $600,000. This home is awaiting its next caretaker and preservationist that will take this beloved home into its next century!!!!! OHD Note: No interior photos. I love the Jacksonville, FL house! Couldn’t ever afford it, but love it. So light & bright, with great views, too. I’d even keep the present wall paint colors & wallpapers. Is there any chance, experts, that the Benton Harbor, MI house’s woodwork was originally painted black? It certainly has some patina to it. The Texas home is the one for me, so intriguing! What a great assortment today. All of them offering something special. Sigh. I love the Milwaukee house but it’s so close to its neighbors. I’m so spoiled living in a semi-rural town. I can’t believe the price on the Milwaukee house! I wonder why it’s so cheap? The neighborhood looks like it’s okay. This house belongs to a former employee of mine – a gifted restoration carpenter and a perfectionist. I have been in it a number of times. It is in a good location in central Maine, overlooking the Kennebec River (out of the flood plain). It is the earliest house in the area – probably about 1785. I know that every bit of work Mark did was of the highest quality, but there is much work left to do. I love the CT house! Why are there no interior photos of the ME home? The FL view WOW.